Great birding opportunities in this 68 hectare park. Nearby, the Backus Page museum is situated within a restored 1850 Georgian style house. A trail with fifteen interpretive stops that leads through a century of old hardwood forest. 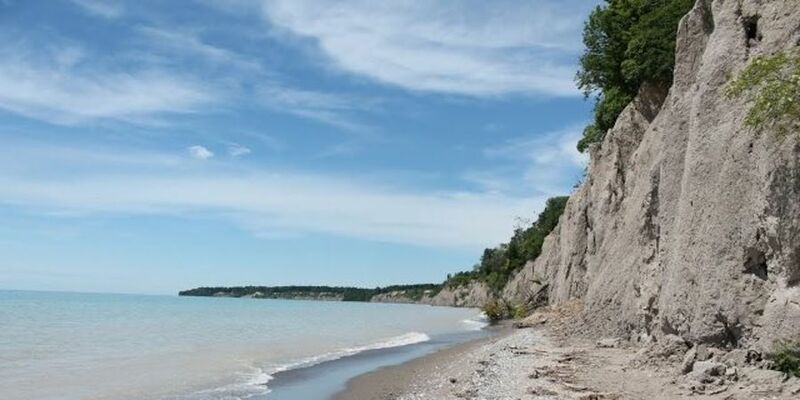 A 33 metre cliff overlooking Lake Erie. Visitors can take a leisurely walk to the lookout high atop the Lake Erie bluffs or picnic in the quiet shade of the forest canopy.